Located 50km east of Jasper, amidst lush pine forest and majestic mountains. It is known as a tranquil retreat, one that can be as active as you like with year-round activities at your doorstep. Choose from a range of accommodation, including suites and private cabins. The on-site Stone Peak Restaurant showcases regional cuisine artfully prepared and accompanied with a six time award winning wine list. To preserve serenity, a getaway at the Lodge means there is limited wireless, TV or phone access. Pet-friendly rooms available. 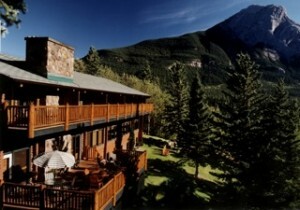 The Lodge hosts small meetings and weddings as well.